The threat of a flea infestation is a common concern for pet owners. Flea bites can cause severe itching, hair-loss, inflammation and even infections in pets, and an infestation can be difficult to get rid of. A serious infestation can potentially even lead to anemia in people or pets. Monthly flea protection like Frontline Plus, K9 Advantix or Advantage is one of the best things pet owners can do to prevent an itchy and potentially dangerous infestation. 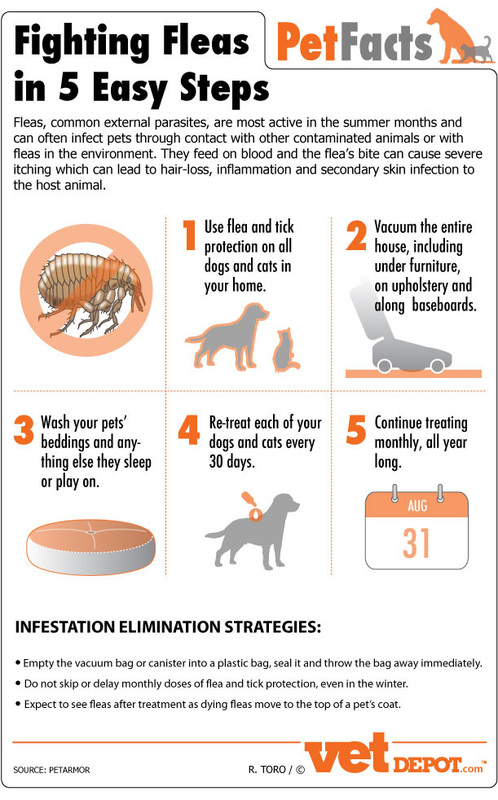 Regularly washing your pet’s bedding, vacuuming thoroughly and remembering to reapply monthly flea preventatives on time are also all imperative in getting rid of fleas for good.